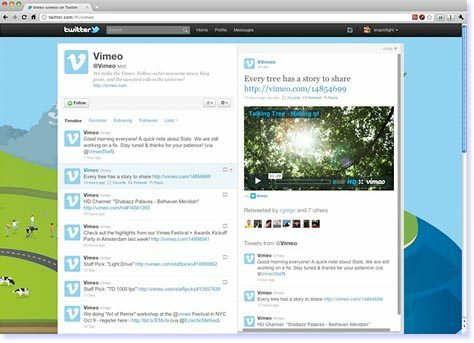 Twitter well known "one of the top World Wide Web bonding junctions" where mostly all the users get gelled.., allowed to share their contents around net, Twitter launched a full redesign website to enthuse further beyond their services smooth moves all this days for its users to excite more soon. The microblogging service, Twitter’s co-founder and chief executive Evan Williams revealed these modifications would be introduced gradually, and should ultimately provide an "easier, faster, and richer experience". 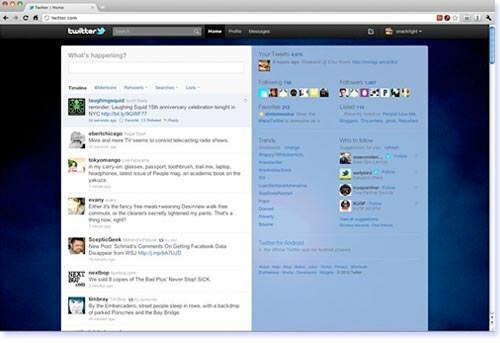 Firstly, users can quickly get into its change and continue their tweets much more fast and easy navigation. Familiar stream of tweets runs down the left side. On the right side is a dashboard of sorts, where you can see recent activity from your followers and the people you follow, trending topics, and the list of people you might want to follow. 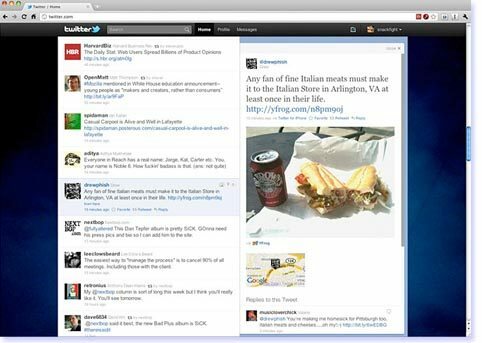 Photos and video can also be directly embedded onto pages through a "details pane"
The redesigned a change such that visitors no longer have to employ the "more" button to view additional tweets as website now has a new two-panel view that navigates a closer and easier watch over your kind of niche tightly and also others.